In my last post, I stated that polymyalgia rheumatica (PMR) is a type of rheumatoid arthritis. A couple of RheumaBlog’s readers gently questioned this assertion. Since the last thing I want to do is mislead anyone, I decided to dig into the subject more deeply. Is PMR a type of RA, as I asserted so blithely, backed by the Healthline article I linked to? Here’s what I found out: PMR is a connective tissue disorder, an inflammatory condition that causes painful aching and stiffness in the muscles of the neck and shoulders, the lower back and the upper thighs. Sometimes the aching affects the hands and wrists. PMR can be chronic. It afflicts people aged 50 and older, a few more women than men. Polymyalgia rheumatica can come on quickly. While the pain can be quite intense and disabling, like RA it tends to be worst in the morning and often lessens as the day progresses. Periods of inactivity, such as sitting for more than 20-30 minutes, can aggravate it. PMR is often associated with a kind of vasculitis (inflammation of the blood vessels) called giant cell arteritis. Some researchers believe PMR’s muscle pain might actually be referred pain from inflammation in the joints, ligaments and bursae of the shoulders and hips. The American College of Rheumatology’s information sheet on PMR states that non-steroidal anti-inflammatory drugs (NSAIDs) such as ibuprofen and naproxen “are not effective” in treating PMR. Instead, low-dose corticosteroids, such as prednisone, are generally prescribed. Because PMR can be chronic, patients sometimes need to stay on corticosteroids to keep the condition under control. The information I found seems pretty clear: polymyalgia rheumatica is not a type of rheumatoid arthritis. But just to make sure, I emailed Dr. Irwin Lim, a rheumatologist and the director of BJC Health in Sydney, Australia. 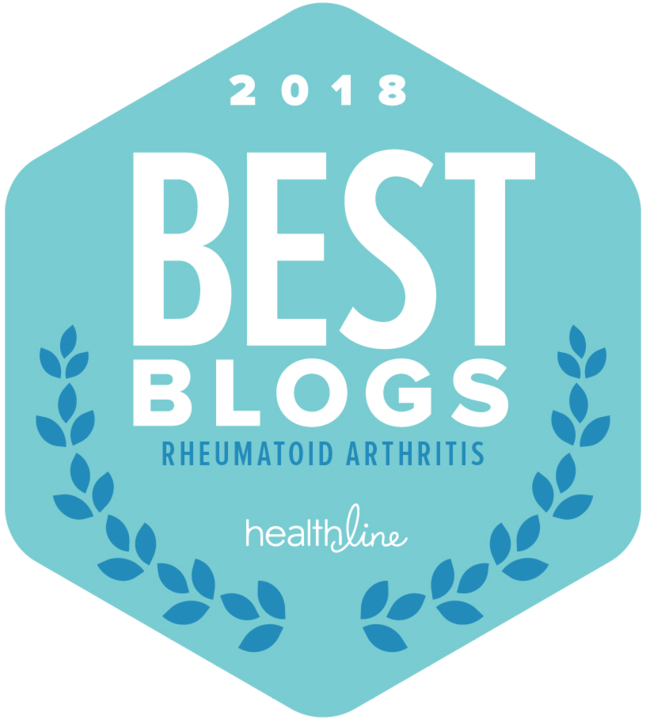 He writes an excellent blog for BJC that’s chock full of information about RA and other autoimmune diseases. Polymyalgia Rheumatica is a different disease. It is not a type of rheumatoid arthritis. PMR is related to a vasculitis called Giant Cell Arteritis. It is a steroid-responsive condition and sometimes DMARDs like Methotrexate are used to reduce the reliance on steroid. However, rheumatoid arthritis can sometimes mimic PMR. In fact, all connective tissue diseases, if they cause large joint involvement limited to shoulder and pelvic girdle, may look like PMR. So it’s something Rheumatologists are aware of when treating PMR and I routinely measure rheumatoid serology. However, true PMR is different from RA with a polymyalgic-type onset (i.e. mimicking PMR). Read the American College of Rheumatology’s info sheet on PMR. 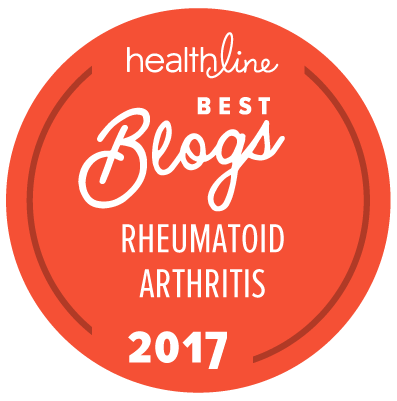 My apologies for publishing erroneous information about polymyalgia rheumatica—and thanks to RheumaBlog’s readers who caught the mistake. Pollyanna: A lot of doctors WON’T consider a diagnose of PMR in patients under about 65 (and sometimes even older!). The AVERAGE age of onset is about 75, in patients this sort of age you are looking at an incidence of about 1 in 2. The BAR guidelines used to say “over 55” but were amended last year to say “over 50”. I think it is based on looking at patient populations where patients presenting with polymyalgic syndrome who respond well to pred. There are a load of causes of polymyalgic syndrome including RA, a few cancers and other autoimmune disorders but in “pure” PMR there is a dramatic response to 15mg pred: 70% relief of symptoms within 48 hours and return of the symptoms within 48 hours of stopping the pred. One group in Bristol uses that as a criterion for dx of PMR as opposed to other rheumatic disorders. They give a week of vit C, a week of 15mg/day pred and then another week of vit C and plot a graph of the reported symptoms. The line for PMR patients drops dramatically in 2 days, bumbles along the bottom for the rest of the week of pred and shoots right back up within 48 hours of stopping the pred. Other things respond a bit, the symptoms may be 5-10% improved, in yet others there is absolutely no difference. The youngest patient in the literature given a dx of PMR was 26: a long distance runner in the USA. After 6 months he was wheelchair dependent – and 3 days after being put onto a fairly moderate dose of pred he was up and running again (literally). We commonly see patients in their early 50s and recently one in her early 40s who fulfil all the criteria. About 1 in 6 patients who is initially dx’d with PMR is at some later point dx’d as having LORA. Whether the PMR morphs into RA or whether it was simply the wrong dx in the first place remains a disputed conundrum. Many have not only PMR but some associated bursitis – and some docs won’t consider someone with hand and foot bursitis or tendonitis/synovitis as having PMR even though that is to be found in a lot of literature. I can only say I had horrendous hand and foot pain which disappeared after about 6 months of pred at less than 15mg and I know of quite a few patients who had similar foot problems to mine, describing it as having to walk barefoot on sharp pebbles or broken glass. I think there are patients who do have seronegative LORA but respond reasonably well to just pred. Some groups have claimed that methotrexate and azathioprine can reduce the dose of pred required – but some of the top UK medics have recently decided maybe they don’t after all. I have always suspected that if they have worked it has been for patients who have been misdiagnosed in the first place and who are amongst the population of RA patients for whom methotrexate works. But I am convinced that the primary reason for the 50 age limit is that younger patients are classified as fibro, menopausal, psychosomatic or depression. One of the symptoms of PMR is depressive mood, which obviously gets worse if it isn’t dx’d and you spend your life in pain – so they pitch on a symptom as being the problem. Eventually the patient gives up asking the GP altogether – I’d had 5 years of classical symptoms before I found what it might be but I had normal bloods and was “too young”. I responded after 6 hours to pred in textbook style! But the consultant was fixed on my age, by that stage 56 having started at 51, and refused to give me more pred. Luckily the GP was convinced. THANK YOU for all of this great info! And thanks for asking the questions that got me digging for better answers. As a journalist, I ought to know better than to believe everything I read on the Internet … sigh. Once burned, however, twice shy. I always look forward to your comments; you always write something that teaches me. Thanks again–and I hope your PMR is well under control and not giving you any trouble. Thank goodness you finally got a diagnosis and treatment! Wren (and Polly! ): Thanks for great information on the subject. There are so many related and similar diseases to RA and posts like these serve such a wonderful purpose in helping educate us. It IS great that people know so much and are willing to share their knowledge, isn’t it? Don’t miss Eileen’s comment above–she’s added a lot of additional info gathered over time and personal experience. If anyone has any questions about PMR – ask them and I’ll do my best to answer them. We have a support group forum in the UK which has US members as you have very little available your side of the pond. After 4 years (9 years altogether) I could do a really good exam answer on PMR and a pretty good one on GCA! Having a medical background makes me very sceptical about some sites but I do always look first before condemning what I suspected might be mdooly!!!! !